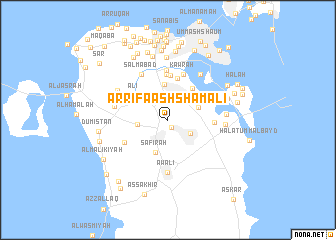 Ar Rifā‘ ash Shamālī is a town in the Ar Rifā‘ wa al Minţaqah al Janūbīyah region of Bahrain. An overview map of the region around Ar Rifā‘ ash Shamālī is displayed below. 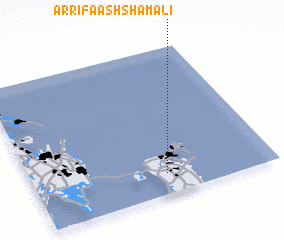 Where is Ar Rifā‘ ash Shamālī? Visiting Ar Rifā‘ ash Shamālī? Buy a travel guide for Bahrain .